McDonald's announced on Thursday that the fast-food giant plans to roll out table service at all locations across the US. The fast-food giant has begun the process of implementing table service across all 14,000 American locations. With the new system, customers can place orders using a digital kiosk or at the counter, and then choose to either pick up their food to-go or have meals served to them at tables. "For the best part of our 16 years, we've asked customers to work around our business model," CEO Steve Easterbrook said in a media event on Thursday. "But now, customers are more demanding, and we're looking to evolve our business." Currently, McDonald's offers table service in more than 500 US locations in New York City, Florida, and Southern California. The company is rolling out table service in Washington DC, Boston, Chicago, San Francisco, and Seattle in early 2017. Beyond that, McDonald's does not have a set timeline for the roll out, though McDonald's incoming US president Chris Kempczinski said the chain plans to move as "quickly as possible" after collecting data from test markets. Globally, the fast-food chain offers the service in 2,600 locations, in countries including Canada, France, and China. In test markets, McDonald's executives said that table service has been particularly popular with large groups and families. "Taking your kids to McDonald's should be a fundamentally... fun experience,"Easterbrook said. "But, the initial stages of it can be quite stressful when you're trying to place the order, you're trying to get it right, you're trying to get the drinks, you're trying to search for a table, and your kids are running around." McDonald's table service roll out is part of a wider effort to improve customer experience. The McDonald's Museum is a replica of the first corporate McDonald's restaurant, opened here April 15, 1955, after the franchise was acquired from founders Maurice and Richard McDonald. McDonald's is introducing mobile ordering next year, testing the service in the first half of 2017 and implementing it nationally in the second half of the year. Along with table service, the chain is also rolling out kiosk service to more locations. 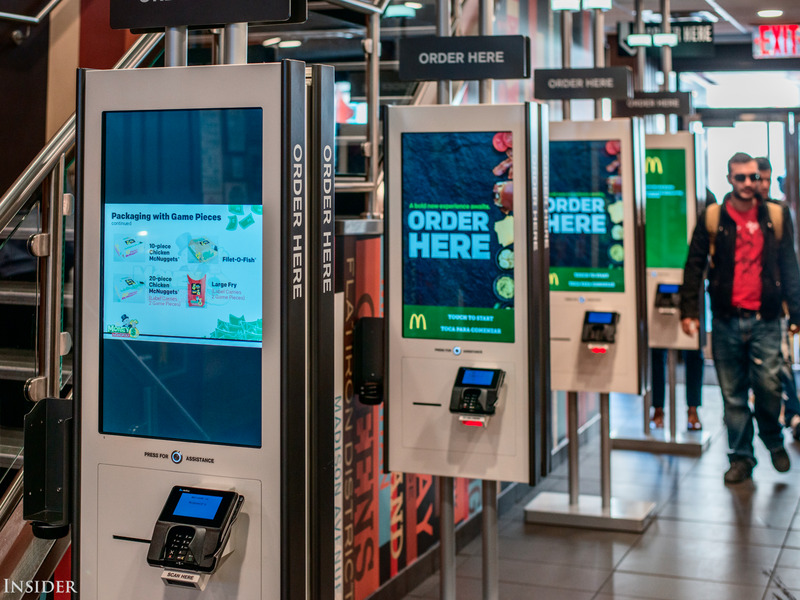 While kiosks and mobile ordering are frequently associated with decreasing labor costs, McDonald's says that its investments in tech do not mean the chain will cut employees. 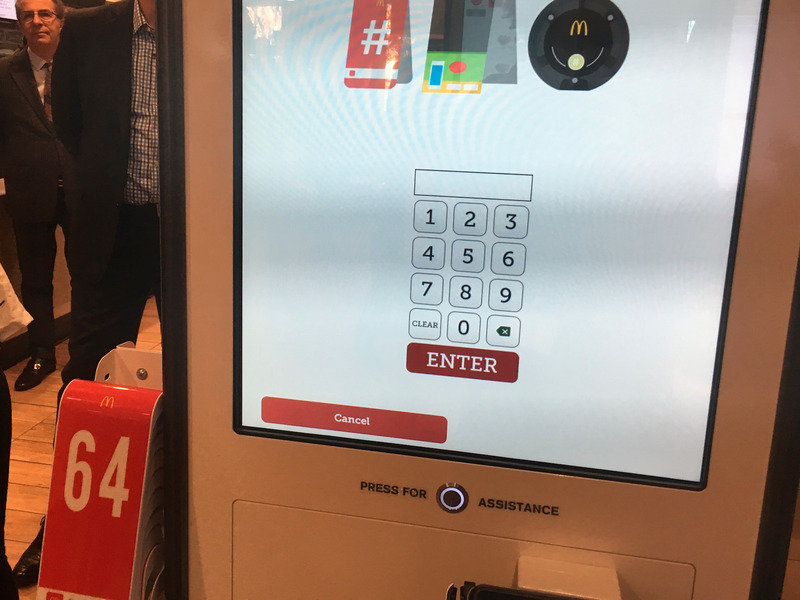 In Canada, where McDonald's has nearly completed its national roll out of kiosks and table service, the company says locations' employee counts have remained roughly stable, with more employees serving food as fewer are needed to take orders. McDonald's is also revamping its menu with an emphasis on higher-quality items like Signature Crafted burgers and redesigning locations to look more modern. "This is not about being a different McDonald's, this is about being a better McDonald's," Easterbrook said. According to executives, these changes represent a new "restless energy," and that the chain hopes to accelerate the implementation of new innovation in the future. In October, McDonald's reported a 1.3% growth in US same-store sales in the third quarter, the company's fifth consecutive quarter of growth in the US and globally. "It's a totally different mindset to which we are adapting," said Easterbrook. "This is not one and done."